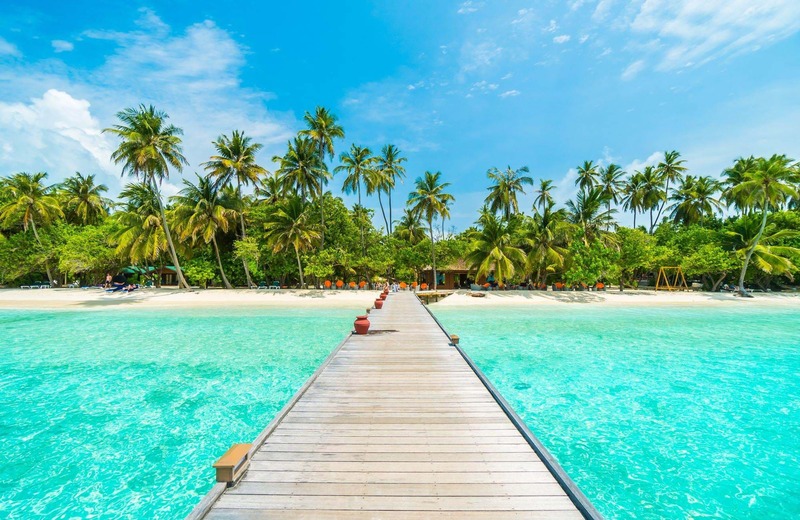 Enjoy a luxurious honeymoon in Male Island, a perfect destination for the honeymoon couples to sight-see and experience Maldivian culture. The Ocean pool which is otherwise called an Artificial beach would give you a fantastic experience with your spouse. Also, enjoy scrumptious food in Sea Side lunch on your romantic lunch. Riding the underwater scooter and snorkelling are quite common among honeymooners here. Biyadhoo Island is a perfect place to enjoy scuba diving with your love of life. If you want to enjoy a peaceful honeymoon, this is the exact place. Get rested on the bosom of your love, enjoying the plenty of vegetation, feeling the vibes of romance in the air. Go for the famous water sports of this Island likesnorkelling, canoe-paddling, and scuba diving. Maafushi Island is one of the best island in Maldives for honeymoon. You can have delightful honeymoon here because of the beautiful ocean waters, thrilling water activities and amazing resorts. Take a boat trip on Island hopping to experience the delight like never before. Catamaran Rides, Snorkelling, Sunbathe, Sand Bar are things to do here. Alimatha is one of the Islands that honeymooners should not miss to visit. The exotic beaches, aquamarine lagoons, crystal clear waters and the spa centres makes this place a most prominent in Maldives. Addedly, the beach and overwater bungalows are incredibly amazing. Snorkelling, boat trips, scuba diving, and massage centres are things to do here. Veligandu Island takes its place in the list of best honeymoon Islands in Maldives. You can find the gleaming waters and eye-pleasing greenery that adds a romantic aura in your visit. Get a fishing village tour to savour delicious seafoods. Visiting the fishing village, snorkelling, and scuba Diving are things to do here. Enjoy a blissful honeymoon by booking a suitable Honeymoon package to the Maldives visit the beautiful Islands.